Baboon Pirates: 'Murica! Love It Or Leave It!! Yo Ho! A Renter's Life For Me!!! 'Murica! Love It Or Leave It!! In This Case, Just Leave It. Please. 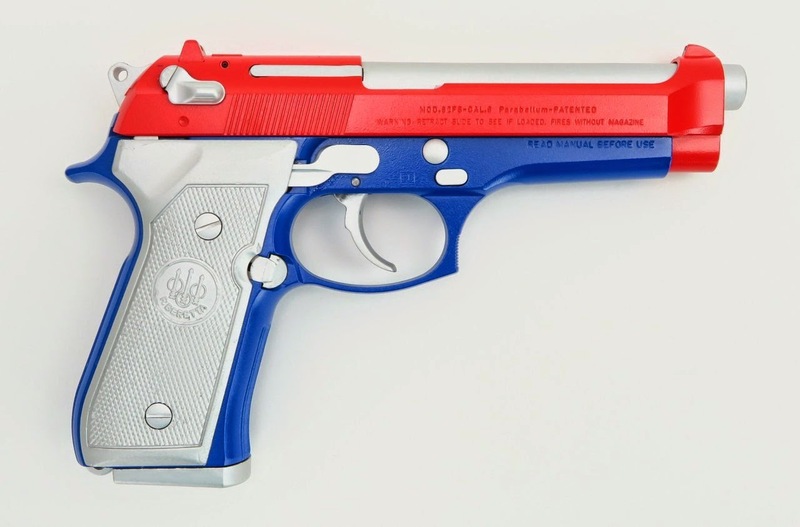 Well, I've seen some hideous paint jobs on pistols before, but this one really goes above & beyond the call of duty. For those days when flying Old Glory just ain't enough, here's a $1200 Beretta 92 in red, white & blue. 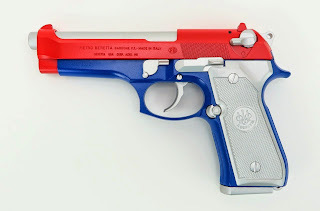 Courtesy of the fine folks at Collector's Firearms, who should have dropped it in a bucket of turpentine. Be sure and put in in a matching holster!